Just scheduled by popular demand, Swamp Boys Q School in central Florida. This class will be held at Clerbrook RV Resort located in Clermont FL, convenient to the FL Turnpike. Avoid all of the hustle and bustle of “Black Friday” and come spend some quality time under the oak trees perfecting America’s original cuisine. We’ll start at 1:00pm on Friday and wrap up around 2:00 – 2:30pm on Saturday. Any questions email or call me. Swamp Boys Q School: Coming to a Town Near You! Do you live in a BBQ deprived area of the country? Have you been wanting to attend Swamp Boys Q School to better your skills, but don’t want to travel to Florida to take the class? Now you don’t have to. We can arrange a full blown 2 day class virtually anywhere in the world! All that’s needed is 20 students*, a location, and equipment for me to use. If you act as the local coordinator for the class you receive special pricing for your entry into the class. We pick a date, and it’s as simple as that. Class is already scheduled for MD, and CA or NV is in the works. So now there are no more excuses for cooking less-than-excellent BBQ. Contact me today and we can begin the process. rub@swampboys.com, or by cell (863)206-9363. We had the annual FBA Fun Cook this past weekend in Clermont. If you’re not familiar with it, the Fun Cook is a time when the judges, cooks, and general membership come together for a weekend of fun. The entry fee and payouts are very low and there are no TOTY points awarded. That’s why it’s call the FUN cook. There was a BBQ class offered, as well as a judging class. We had a great pot luck supper on Saturday night and turn-ins and judging on Sunday. I took the opportunity to try a new chicken recipe/method to see if I could make some improvements. Well it worked a little as my chicken was no longer at the bottom of the pack, but not nearly where I need it to be. I received a 12th in chicken, 5th in ribs, 1st in pork, and 3rd in brisket for a 3rd place overall. I’m going to continue to practice on the chicken until it becomes an asset, not a liability. The next contest will be the start of the new BBQ season for qualifying purposes and I intend to make each one count. Here’s hoping for a strong, consistent year. 9/2, 1:00pm CST. 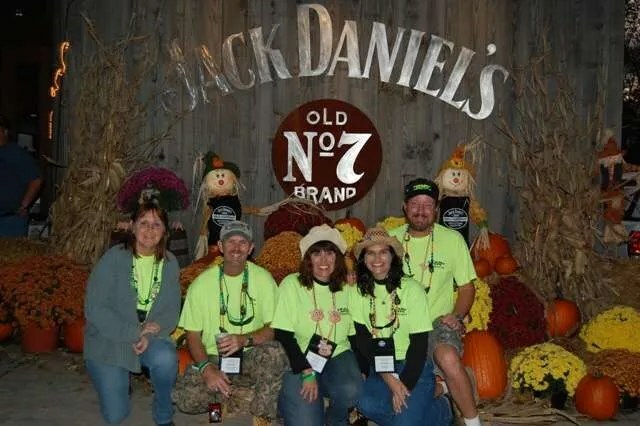 The BBQ world focuses all attention to Lynchburg TN and “The Draw” being held at the Jack Daniel’s Distillery. Teams fortunate enough to have their “bung” pulled in the complex hours-long drawing will be invited to cook at the BBQ World Championships in Lynchburg the end of October. Good luck to my friends that are in it, I hope Jasper smiles on you. And if you think about it, send any extra good karma, thoughts, vibes and prayers up for the Swamp Boys as well. We need it.